Looks good Amy! 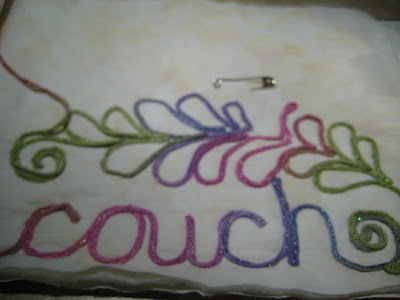 What thread did you use to stitch through the couching - a matching "colored" thread or monofilament? Also I know that these feet are designed to work by having you stitch "through" the couched thread rather than around them with a zigzag. 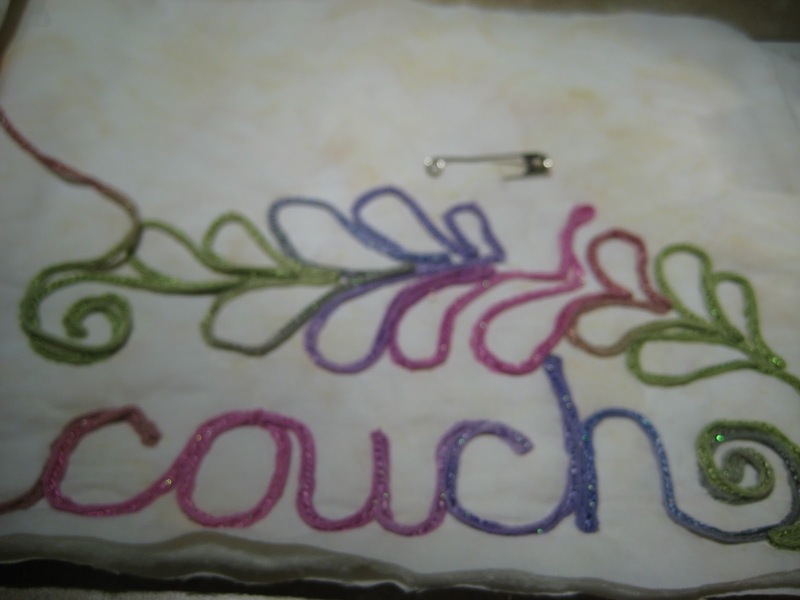 But is the foot set up so that you could also use a narrow zigzag which may help with the thinner threads?